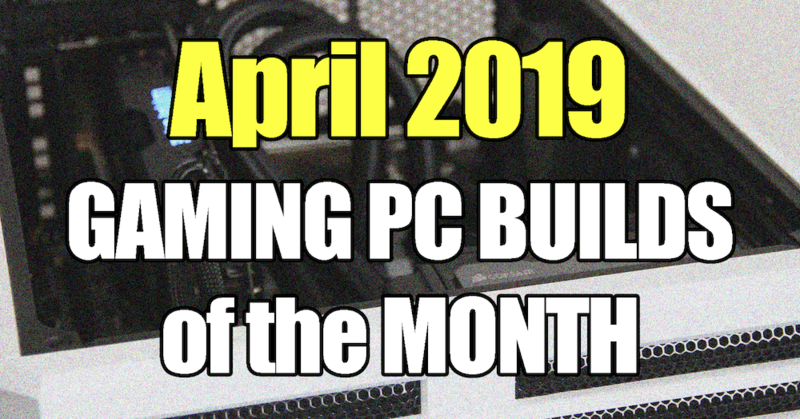 Welcome to the best Gaming PC Builds of the Month for April 2019. The builds updated every month are in the budgets in and between $700, $1000, $1500. Play any game out there at the best possible settings and get the most performance per dollar spent on your gaming pc. Looking for fresh gaming pc build this month? Here are the updated gaming pc builds of the month for April in the respective budgets of $700, $1000 and $1500 or anywhere in between. These builds are built for maximum performance per dollar spent and are for new pc builders or those looking to upgrade their current rig. Each of the pc builds this month come in at well under their target budgets, which means that they have never been this affordable meaning you can get more performance for every dollar spent. Enjoy this months builds and if you have any questions or comments feel free to leave those below! Bookmark our Best Gaming PC Builds for 2019 Page to Keep up to Date With the Monthly Gaming PC Builds, or subscribe here. *This PC Build is powered by the AMD Ryzen 7 2700K CPU and RTX 2070 GPU — Prefer to use an Intel i7 9700K? Then check out the hardware alternatives below. The AMD Ryzen 7 2700X CPU comes with eight cores and 16 threads and comes with a decent Wraith Prism (with RGB lights) CPU cooler (a great stock cooler, however, you can always consider a liquid cpu cooler upgrade). The Gigabyte X470 AORUS Gaming motherboard is just that, a motherboard built for gaming and it includes all you need at a good cost. The RTX 2070 is a fantastic graphics card that provides great pc gaming performance at resolutions from 1080-, 1400p and well into 4K should you want to. 16GB of RAM is the perfect spot for any high-end gaming pc and the Corsair Vengeance LPX kit is a great choice (two sticks fo 8GB). The WD Blue is a great solid state drive that gives you 1TB of storage and 560mb/s sequential read speeds and sequential write speeds up to 530mb/s. 1TB is a great place to start for a high-end gaming pc and you can always add more later, or simply bump it up to the 2TB version should you need to right away. A great, quality power supply that give you all the juice you need to power this pc build with a high efficiency 80 PLUS Gold Certified stamp of approval. Included is a zero RPM fan mode giving you a quiet cooling experience. For those #RGB enthusiasts, the Corsair Crystal 460X is a great case that has a two-panel tempered glass display that displays every hardware component in the $1500 pc build perfectly. The i5 8400 is a great gaming pc CPU with 6cores/threads and a frequency of 2.8GhZ (up to4GHz Max Turbo). The stock cooler should be all you need, however you can always upgrade if you want. A good Z370 motherboard that has all you need for the $1000 pc build - Some notable specifications: Turbo M.2: Delivering Speeds Up to 32Gb/s. DDR4 Boost- Advanced technology provided by MSI OC lab to ensure maximum compatibility for overclocking performance. The RTX 2060 is a fantastic graphics card and a great choice for those wanting to gaming fludly at high refresh rate 1080p resolution gameplay and well into 1440p resolution. 8Gb of RAM is a perfect amount for this gaming pc build, with plenty of room for more should you need later on. The Western Digital blue is a great solid state drive, and this particular model has a capacity of 500GB. You can easily bump this up if you have the funds or add another later. 650 Watts is enough juice for this gaming pc build and the EVGA Supernova P2 is the perfect choice as it is fully modular and platinum rated (meaning it's very efficient). A clean, minimalistic pc case with a full window side panel. Capability: Game at Smoothly with High settings and FPS at 1920X1080 resolutions in most games. The Ryzen 5 2600 CPU is a superb value coming in with 6 CPU cores and 12 threads at 3.4Ghz. This is a solid gaming cpu that is priced really well. The RX 580 is a ferocious graphics card that is plenty for those wanting a budget gaming pc build that can max most pc games out there at 1080p resolutions without a problem! 8Gb of RAM is the sweet spot for any gaming pc out there and should be all you need -- however there is always room to upgrade! The Kingston A400 is a modest SSD and has a total of 240Gb of space -- enough for your OS and a handful of your most played gaming pc games. Need more space? Bump up the storage capacity or buy another later on. The Corsair CX series 500W power supply unit is a no-frills power supply unit with all the power you need to run this build. A very affordble pc case that comes with 2 fans, very easy to build in and even has a large windowed side panel. Below are some quick notes on how you can go about choosing the right gaming pc peripherals for your gaming pc build. Do note that included are limited options, but are definitely valid recommendations and examples of what you should be looking for. You can use pretty much choose any keyboard you want, as these can sometimes be entirely preference based, however there are some things to consider for optimal gaming. Such as whether a keyboard is mechanical, or has the right look and feel you want (looking for some solid RGB lighting?). Gaming mice are probably the easiest of the peripherals to purchase as it can really just boil down to preference and feel. You can look out for other quality indicators like Dots per inch (DPI), the higher being the more precise and most sensitive and other features like the ability to sign functions to buttons or change your DPI on the fly. See below for a couple of gaming mice examples, the first is the Proteus, which I have loved for years and the second is a solid budget example. The main thing to keep in mind is that when choosing the right monitor to take note of the resolution and the refresh rate, as these are important performance indicators. The higher the resolution and the higher the refresh rate will require higher-end gaming hardware. For example: In the gaming pc builds of the month you could get something like a 1920×1080 resolution monitor at 60Hz for the $700 pc build. For the $1000 build you could get a 1920×1080 resolution monitor at 120hz, or a 2460×1440 resolution monitor at 60h. And for the $1500 gaming pc build, you could get a 2560×1440 resolution monitor at 120hz or a 4K resolution monitor at 60hz for the $1500 pc build. One last thing to keep in mind is that monitors with G-Sync are best suited for builds using an NVIDIA graphics card and monitors with Freesync are best suited for monitors using AMD graphics cards. Operating System | What will you run Your Gaming PC Build With? You will need an operating system (OS) for your gaming pc build. If you don’t already have one laying around, then you’re going to have to purchase a standard OS such as Windows 10 or check out some other free alternatives that you could consider. 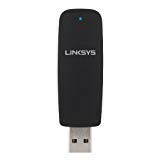 Keep in mind that it is recommended to purchase Windows online or as a USB stick and install it that way as optical drives are not included in any of these builds and nor would you generally need one for any modern gaming pc. Included below is a USB copy of Windows 10, which is probably what most people need. I have also included two other operating systems that are both currently free – so could be worth the time trying out. Ubuntu is a Linux based operating system and is open source. 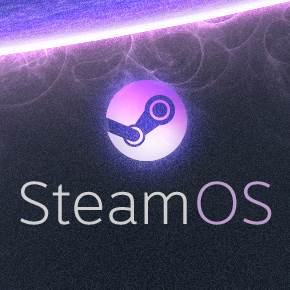 The last OS is SteamOS, which is also a Linux OS being developed by Valve Corporation. Not all gaming pc motherboards have wifi, in fact not many do unless you are willing to purchase a more expensive board. 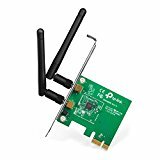 So if you want wireless internet (wifi), then you will need to either purchase a wireless PCIe card or USB dongle. Whichever you choose is up to you, but essentially a wireless PCIe card plugs directly into your motherboard and usually has antennas that come out of the back of your PC case, and a USB dongle simply plugs directly into your PC case via a USB port. Subscribe and Get the Best PC Builds to Your Inbox!